The Tuffest Stuff is excited to join a host of other collegiate educators at the 44th Annual ACERT Conference and Business Meeting. The event will take place February 6-8, 2019 at the Orleans Hotel and Casino in Las Vegas, Nevada. The conference, which has grown to include program faculty, clinical instructors, and students, is considered the leading assembly for Collegiate Radiologic Technology Programs. Industry development, news, emerging technology is showcased throughout the three-day event. Professor Mike Enriquez, instructor and visionary behind The Tuffest Stuff CT Registry Review Seminar Solution, will host a vendor booth in the Main Hall on the conference floor of the Orleans Hotel during the ACERT Conference. Conference speakers will present a plethora of information, from a complete review of radiographic procedures to emotional intelligence in radiology. The country’s brightest and most esteemed faculty and Radiologic Technology Program representatives will be in attendance. What began as a meeting for radiologic technology educators on the University of Nevada Las Vegas campus in 1975, evolved into the Association of Collegiate Educators in Radiologic Technology (ACERT) in 1991. ACERT blossomed, creating a quality educational conference each year. With a mission to improve the quality of education among radiologic technology programs, ACERT is touted as one of the most forward-thinking group of minds ready to take on new challenges in medical imaging and therapy education. As a professor of the most technical courses associated with the A.S. Degree, Certificate RT Program, Enriquez is dedicated to staying abreast of the most current issues and successes within the Radiologic Technology industry. He is proud to offer one of the most thorough and true-to-life CT Registry Review programs available to students today. 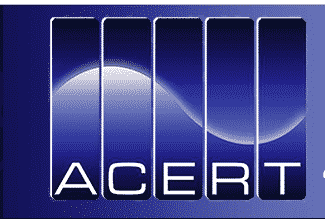 The ACERT Conference promises to be an enlightening and educational experience for all in attendance. As you take in the conference exhibits and presentations, take a moment to stop by the Tuffest Stuff vendor booth to say hello and launch a conversation with Professor Enriquez.